The Professional Models Association of the Philippines (PMAP) partnered with the team of Timeless Bar and Restaurant Concepts Inc. (TBRCI) and Fearless Productions Inc. to stage the biggest Boracay collaboration event ever: SUNKISSED 2014. TBRCI is the team behind Dillingerrs 1903 and Prohibition Liquor Lounge. On the other hand, Fearless Productions Inc. is the group behind some of the country’s biggest concerts, such as, John Mayer, Usher and the Sonic Carnival Music Festival. 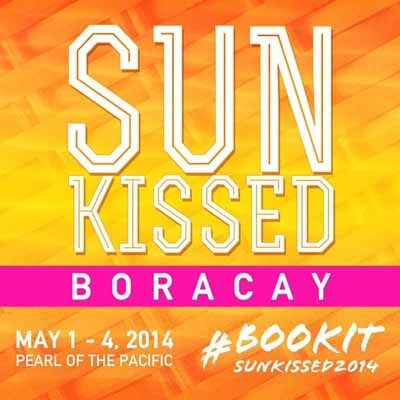 SUNKISSED 2014 is a series of summer parties from May 1 – 4, 2014. It is a weekend long party to celebrate Labor Day weekend in Boracay hosted by Pearl of the Pacific. In addition, PMAP shall host their very own Modelympics, a sporting event composed of the country’s top models, from May 2 – 4, 2014.